Is the High Court Right in Re-Affirming that Sections 437 (5) and 439(2) Cr.Pc. are not Provisions for Cancellation of Bail? 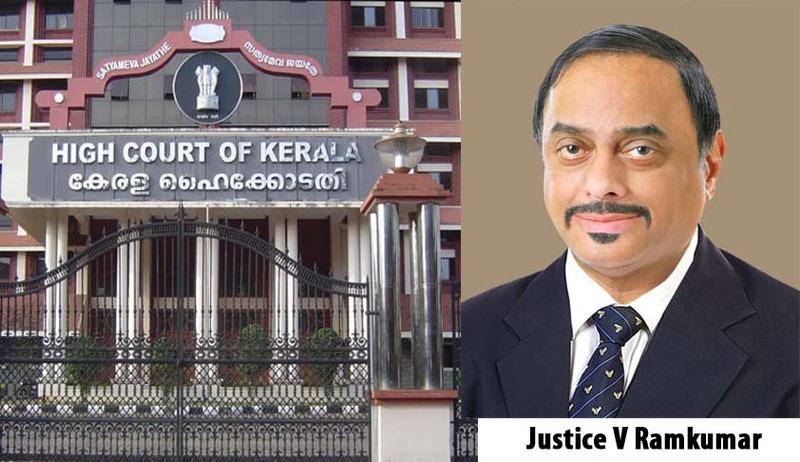 The learned Judge is emphatically reiterating his own view which was already taken in James George @ Basaliyos Marthoma Yakob Pradaman Vs. State of Kerala – 2015(4) KHC 843 wherein it was observed that Sections 437(5) and 439(2) Cr.P.C. are not meant for cancellation of bail. But this time, there is a slight relaxation made to concede that the aforesaid provisions can be invoked for cancellation of bail in certain circumstances. Law, without any rider, cannot be so imprecise and ambiguous as to be applicable to certain situations only. (supra) was refused to be followed by another learned judge of the High Court in Mahesh K. alias Battampura Mahesh v/s Station House Officer, Kasargode Police Station and Another-2015 (5) KHC 791 in the light of the decision of a Division Bench ruling of the High Court in Latheef @ Abdul Latheef v/s State of Kerala-2011 (2) KLT 231 wherein it was pointedly held that Section 437 (5) Cr.P.C is the source of power for the Magistrate to cancel the bail granted by the Magistrate under Section 437 (1) and (2) Cr.P.C. In the NCB case, the High Court was mainly considering the question whether the Sessions Judge who had granted bail to certain accused persons for offences, inter alia, involving commercial quantity of narcotic drugs under the N.D.P.S. Act, 1985 allegedly without giving the Public Prosecutor an opportunity of being heard, could itself entertain petitions for cancellation of bail. In my view the learned Judge has rightly concluded that the High Court (superior court) alone could entertain a petition for setting aside the bail order and that approaching the very same court with applications for cancellation of bail, was misconceived. But what is objectionable is certain observations made which are capable of creating confusion in the minds of officers of the subordinate Judiciary. ii) an application for setting aside an order grating bail. (supra) and State of Kerala Vs. Raneef - AIR 2011 SC 340) A revision against the grant of bail may also lie. (See Prasad Jacob Vs. State of Kerala -2010 Crl. L.J. 4137 (Kerala) – 2010 KHC 398). order granting bail and it may virtually have the effect of cancelling the bail. But here, the superior Court is really setting aside and not cancelling the bail order due to reasons which already existed initially at the time of granting bail and not due to any post-bail event. “21. As per the said provision, where a bond under the Code is for appearance of a person in a case, and it is forfeited for breach of a condition, the powers under S.446A(a) as well as (b) can be invoked. It may not be understood that the breach of that condition which results in forfeiture of the bond and bail bond is not confined to the breach of the condition for appearance only. The wordings of the provision “where a bond under this Code is for appearance of a person in a case and it is forfeited for breach of a condition” clearly indicates that the forfeiture will result even in violation of conditions other than the conditions for appearance also. At the same time, such a forfeiture of a bond under S. 446A should be one executed for the appearance of a person in a case. Therefore, it is evident that in cases wherein an accused who is enlarged on bail, executes a bond for appearance in a case, commits breach of any of those conditions contained in the order granting bail, forfeiture of the bond as well as bail bond is possible. At the same time, in all such cases, it may not be just, in forfeiting the bonds of the sureties also. “Where a bond under this Code is for appearance of a person in a case and it is forfeited for the breach of a condition” cannot be understood to mean that forfeiture of the bond for appearance can take place even for the breach of any condition other than one for appearance. By virtue of Form Nos. 45 and 48 (unless suitably modified by the High Court under Article 227 of the Constitution of India and Section 477 Cr.PC) which are the Forms to be used for this purpose in view of Section 476 Cr.PC, forfeiture of a bond (for appearance) is contemplated only in cases of non-appearance of the accused and in no other contingency. Form No. 3 prescribed by the High Court under Appendix I to the Criminal Rules of Practice, Kerala, 1982 is also on similar lines as Form No. 48 referred to above. Hence no other mode of forfeiture is contemplated by the Cr.PC. If so, the question of any injustice in asking the sureties to pay the penalty consequent on the accused committing breach of a condition other than one for appearance, does not arise. The learned Judge is not quite right in observing that when a bond for appearance is forfeited for breach of a condition, the powers under Section 446-A (a) and (b) can be invoked. There is no question of the Court invoking either clause (a) or clause (b) of Section 446-A of Cr.PC. Under clause (a) the cancellation of the bond consequent on the forfeiture, takes place automatically. Clause (b) is also not a provision for invocation by the Court. It is really an interdict not to release the person who had committed breach of the condition for appearance. It is the proviso thereto which the Court can invoke in an appropriate case. There is a practice in some Courts to secure the presence of the accused through a warrant of arrest consequent on the forfeiture and resultant cancellation of the bail bond and thereafter enlarging the accused on fresh bond with sureties, without insisting on a fresh application and order for bail. Technically speaking , the said practice cannot be said to be illegal since the earlier order granting bail remains intact even after the bail bond stands cancelled. The situation will be analogous to one where the court orders release of the accused on bail, but he does not execute a bail bond, with the only difference that in such a case the accused is yet to be released. Nityanand Rai Vs. State of Bihar – (2005) 4 SCC 178 = AIR 2005 SC 2239). When any of the above grounds are present, the Court may resort to the power under section 437(5) Cr.PC if it is the Magistrate or under Section 439(2) Cr.PC if it is the Court of Session or the High Court. The Court which granted bail can itself invoke the appropriate provision for cancelling the bail if an application in that behalf is filed or on its own motion. Just as a Magistrate can have recourse to Section 437(5) Cr.PC and cancel the bail granted by the Magistrate himself, a Sessions Judge or the High Court can similarly exercise the power under Section 439 (2) Cr.PC. Vs. State of Kerala – 2010 Crl. LJ 4137 (Kerala). Eventhough the Apex Court has used the expression “cancellation of bail” in such contingencies, really the remedy is against the order grating bail and such order can be set aside (loosely called “cancelled”) only by a superior Court. 12. This article has been penned on account of the possible confusion which the NCB case may cause in the subordinate judiciary. A persistent obstinacy in dogmatically adhering to a misconceived view can never bring about clarity of the underlying principles of law.